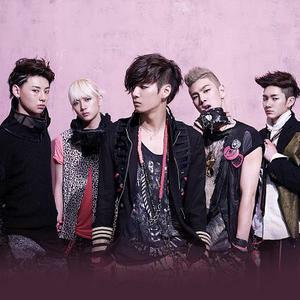 NU'EST (New Established Style and Tempo) is a South Korean boy group formed by Pledis Entertainment in 2012. They are the first male group to debut under Pledis Entertainment. The band consists of leader, main rapper and lead dancer JR, sub vocalist Aron, lead vocalist Baekho, main vocalist and 'face' of the group Minhyun, and sub-vocalist and maknae Ren. The group were initially known as Pledis Boys, after their unofficial promotions with their seniors, Son Dambi and After School for their Happy Pledis 2012 ?Love Letter? single. The group were initially known as Pledis Boys, after their unofficial promotions with their seniors, Son Dambi and After School for their Happy Pledis 2012 ?Love Letter? single. They also appeared on stage with them promoting the song "Love Letter". They made an unofficial first appearance on 29 December 2011 at the 2011 SBS Gayo Daejun, performing the 'shuffle' dance with label-mates After School. They made their first CF with After School's Lizzy. On January 16, 2012 Pledis Entertainment revealed the face of NU'EST's leader, JR. The next day they revealed two new members, Minhyun and Aron. And on January 19 they finally introduced the entire group by revealing the identity of their final two members, Baekho and Ren. They also revealed that After School's UEE gave Baekho his name. On March 2, a bus with a NU'EST advertisement had been spotted driving around the streets of Seoul advertising the group's debut date and the title of their highly anticipated debut single "Face" which was composed by Swedish songwriter Daniel Bergman. The music video for "Face" was released on March 14. NU'EST made their broadcast debut on Mnet's M! Countdown on March 15, 2012 with a double stage of "I'm Sorry" and "Face". They also made their debut stages on Music Bank on March 16, Show! Music Core on March 17, and Inkigayo on March 18.